Rembau MP Khairy Jamaluddin says a new national car project will not be environmentally friendly, and will cost the government a lot of money. 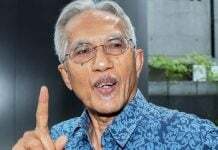 GEORGE TOWN: A Barisan Nasional (BN) MP today criticised Prime Minister Dr Mahathir Mohamad’s announcement that Malaysia plans to start a new national car project. Rembau MP Khairy Jamaluddin said given the scrapping of public transport projects like the MRT3, any plans for a new national car were regressive and backward. He said starting a new national car project was not only unfriendly to the environment in terms of carbon dioxide emissions, it was also bound to cost the government a lot of money which should be used to develop the public transport system. “Unless this project produces fully electric cars, I do not see the benefits to the people, economy and environment. “It is also dependent on our ability to achieve economies of scale. If the production scale is small, the targeted economic impact may not be achieved,” he said in a statement. Khairy said the Cabinet must fine-tune the proposal before agreeing to proceed with the project. “However, it is my hope that time and resources are given to upgrade our public transport system, such as cooperation with the private sector in improving last-mile connectivity, for instance the e-hailing solution by using cars and motorcycles. “They should also carry out a holistic feasibility study, including how to reduce costs for the reinstated MRT3 project in the future, or by using a more cost-effective system such as the Bus Rapid Transit (BRT) which is not just centred in the Klang Valley,” he said. 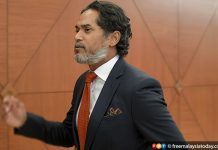 Khairy said since 1984, the government had channelled financial assistance to Proton, including easy loans and grants totalling RM15.3 billion. “A project like this will also burden the people with additional costs, through the excise duties amounting to 105%. This burdens users who wish to buy other brands of vehicles aside from the national car,” he added. Mahathir said earlier today that he plans to start another national car project, after Proton’s takeover by a Chinese company last year. He told participants at the annual Nikkei conference in Tokyo that he had started Proton in hopes that the company would remain under local ownership. “Now it’s been sold to a Chinese company, so it is no longer a national car. “Our ambition is to start another national car, perhaps with the help of partners from Southeast Asia like Thailand, Japan or Korea, as they have the capacity to produce good quality cars saleable in the world market,” he said.